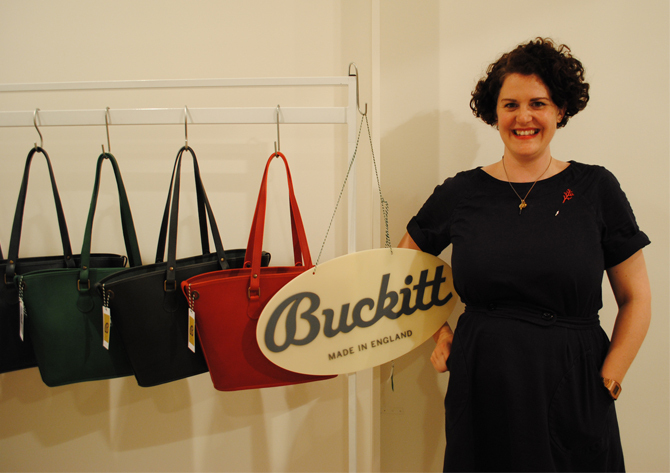 A little while ago we wrote about our friend Rachel’s Buckitt Bag launch on Kickstarter. For those of you who don’t know how Kicktarter works, Rachel has to raise the money for her bags over a limited period of time, she’s now over half way through the time period and as I write she has 12 days left. The Buckitt bag is a beautiful thing and we really want Rachel to succeed, but it’s a tough world out there, we asked her how she’s doing. Hi again Rachel, how’s the Kickstarter campaign going? Do you think you will raise the money? It’s going really well so far, we’re amazed by the response it’s had and are touched by the lovely comments people have made. We’re also constantly surprised by how many men there are out there buying bags for the ladies in their lives- especially from America! But they are perfectly timed for Christmas presents so we shouldn’t be that surprised! We are cautiously optimistic we will make out target but you never know, we still have £3k to raise! What happens if you don’t quite get there in raising all the money? We really hope that we do but if not then we have gained a valuable bank of supporters and some really good press to help launch the brand. The whole project isn’t meant to be just about the money, we chose Kickstarter as it enables us to develop a solid fan base over a super-concise length of time rather than slowly over the years. 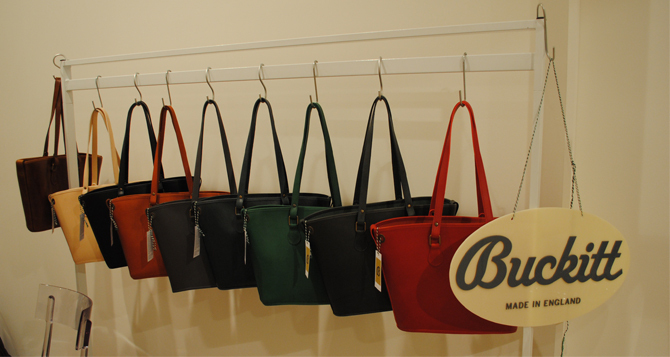 The Buckitt looks like the perfect shaped bag to me, but I am struggling over which colour to chose, it’s going to last a long time, so should I go wild and pick a bold colour or go for a classic! help! I think it all depends on your personality. 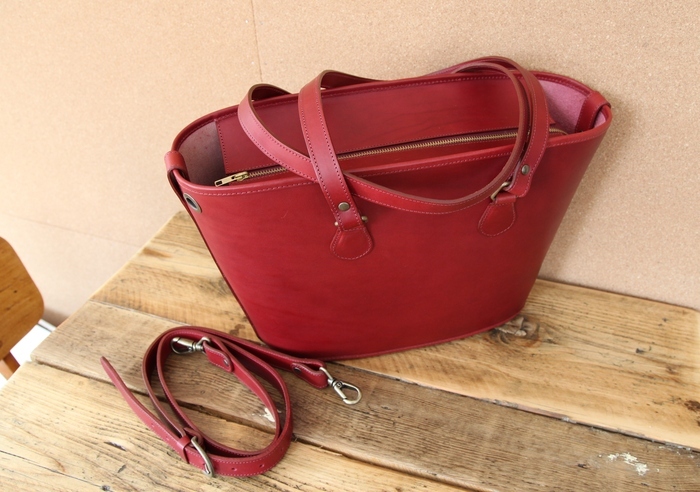 If you are the sort of person who would happily carry a red bag with you regardless of situation or outfit then I think go bold but in general most people would feel more comfortable with a more classic colour such as Black, Tan or Chocolate. I personally really love the Navy, Green and Wine colours as they still go with everything yet are that little bit different. I guess if I went for a classic I could brighten it up with your cute purses in other colours, the accessories are such a good idea, will you add to that range? Yes that’s exactly how I envisage it, some people will want their accessories to match and some will want to add interest. We have started off with a basic pouch, which is perfect for keeping general bits and bobs, make-up etc in one place and then a small purse. Then there’s the Loop for attaching your keys and all the accessories and we have had feedback that people would like an Oyster card/Bus Pass holder and we have plans to add in a pencil case, notebook, diary and many many more options! We’re also going to do them all without the eyelet so people can have them a standalone accessories. You are such an expert now at leather product, what special skills have you brought to The Buckitt bag that makes it such a good buy? 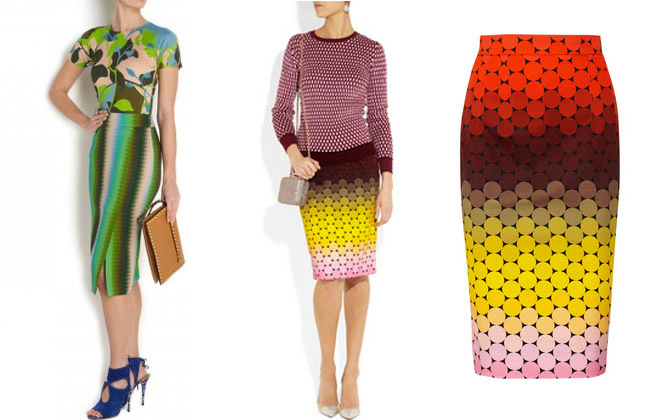 I think after years of designing products for people I have developed a six sense for practicality- I think about what I would like and how I would use it or wear it and then think about my customer and what she would want. At the end of the day you can’t please everyone, and you shouldn’t try to, so you go with a design that you thinks works for most people but that still retains your design hand-writing. I have tried really hard to make this a bag that really works for people, a tool for their lives rather than just another good-looking accessory that happens to also be useful. I see this as something that people will use alongside their special handbag, the Buckitt bag is the bag you can use every day and a bag that works regardless of occasion. Something simple, practical and elegant that you can rely on and something that also gets better with age.